Adrian Stokes was the eldest son of Thomas Stokes of Stanshawes Court and his wife Sarah (nee Pritchard). He was born in the Clifton district of Bristol about 1790. Adrian’s father Thomas Stokes died November 15th 1808 aged 59. The family could be described as Landed Gentry and had a coat of arms. Burke’s Landed Gentry, edition of 1853, says: “The family is now represented by Adrian Stokes, Esq. We do not know when Adrian moved to Thornbury as there is no trace of him in Land Tax records before 1822. 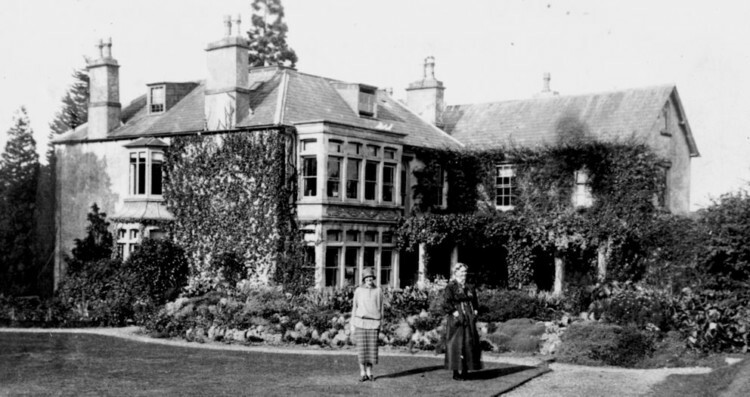 The family may have had had a home in Kington near Thornbury before Stokefield House was built in Thornbury. The Bath Chronicle of 25th October 1821 announced the death of Adrian’s mother, Sarah the widow of Thomas Stokes of Stanshawes Court Yate. Mrs Stokes was said to have died at Kington. In 1822 the Land Tax records show that he was paying 6/- land tax for a property he owned and occupied. We believe that this property was the land on which Stokefield House was built. It is difficult to ascertain how much time he spent at this house. The house that he built must have once resembled the rather poor photograph that we have here top left. 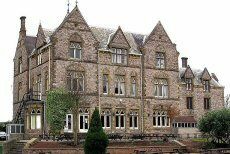 Later it was bought by Thornbury District Council for offices and a new wing was added. However, even as as offices, the rather clearer photograph top right shows that it was a substantial and attractive house. It is difficult to be sure at this stage why he acquired it as he appears to have had other large properties. He was associated with Stanshawe’s Court in Yate which the Stoke family had owned since the sixteenth century. We do not have any details of Stanshawe’s Court in the time that it was owned by Adrian Stokes as the property was rebuilt in 1874 and it is now a public house which looks as it does in the photograph on the right. We assume that Adrian Stoke’s inheritance included Stanshawe’s Court – certainly (as can be seen below) Adrian Stokes later advertised this property for let. This implies that Adrian Stokes lived in Stokescroft at one time. From 1827 to 1832 the Land Tax records show that he let his property in Thornbury to Caddell Holder. We know that Adrian Stokes remained in the area as in 1823 he was the Mayor of Thornbury. It is not clear what happened to Mr Stokes’ financial position during the 1830s but it is possible that he ran into financial difficulties. By an indenture of mortgage dated 9th January 1835 made with William Rolph and George Cole he raised the sum of £1,000. 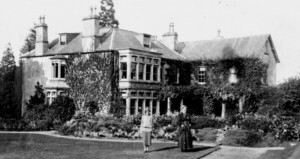 Later, in 1839 there was an advertisement in the Gazette for “Stanshawes Court near Sodbury containing about 14 rooms with coach house and stable paddock and fishpond in front lawn and large walled garden rent very low apply Mr Stokes of Thornbury.” It is possible that Adrian and Annis Stokes merely decided to live in Thornbury rather than Stanshawe’s Court and certainly in 1839 Adrian Stokes was in Robson’s Trade Directory as an Alderman of Thornbury Corporation with amongst others his in-laws, George and William Rolph. In 1841 he advertised in the Bristol Mercury that ‘To be let furnished or unfurnished – a modern Villa residence, with every convenience for a moderate sized family, and in the best condition, situate within its own grounds, containing altogether five acres and communicating with the High Street of the pleasant and healthy town of Thornbury….’. The 1841 Census shows him in what appears to be a more modest establishment in Avening. The head of the household was Thomas Stokes, Adrian’s younger brother. Thomas was a surgeon aged about 40. Adrian Stokes was said to be of independent means aged about 50 who was living there with his wife Annis aged 40. The house had only one servant, Ann Hyde. In another indenture of mortgage dated 14th April 1843 with Susannah Rolph he borrowed a further £1,000. The 1851 Census shows that Adrian was still living in his brother’s home in Chapel Street in Avening in the Stroud district. Thomas Stokes was aged 54 and a Member of the Royal College of Surgeons and he was born in Bridgewater Somerset. Adrian Stokes was described as living on independent means and a Justice of the Peace and Landed Proprietor aged 61. A nephew, Adrian Stokes, aged 35 was also a medical doctor, having obtained his MD in Edinburgh. Ann Hyde aged 58 was still the servant in the household. The memorial to Adrian Stokes says that he died “April 21st 1853 aged 65 magistrate of this county and much esteemed for his many good qualities.” His last will was proved by Thomas Stokes on 4th May 1853. An indenture dated 24th December 1853 said that Adrian Stokes made his will on 16th June 1848 and bequeathed his land and property to his brother Thomas Stokes with the proviso that Thomas had to pay £100 a year to Adrian’s nephew Adrian Stokes MD and £50 a year each to his nieces Sarah and Annis Stokes. In 1853 Thomas Stokes, Adrian Stokes, Sarah Stokes and Annis Stokes sold to Sir John Key pieces or parcels of land or ground messuages or tenements for the price of £1,200. After this transaction William Rolph, George Cole and Susannah Rolph accepted the sum of £1,200 in part payment of the mortgages outstanding. The second sale detailed in the indenture of 24th December 1853 transferred ownership of what is now Stokefield House, the Priory and two closes of land of “three acres, one rood and six perches” to Sir John Key. The sale of Adrian Stokes furniture and other goods was advertised 26th November 1853. This appeared to describe the house as West End Villa. Please click on the thumbnail image above on the right to see this advertisement.